Trans fats, saturated fat, unsaturated fat — all this talk about fat can be confusing. We have the lowdown on which types of fat you should be consuming and which ones you should definitely avoid. Fat is not all bad. It is a source of energy for the body and is essential for the growth and development of children. Fat is also necessary for the absorption of fat-soluble vitamins, such as vitamins A, D, E and K. You need essential fatty acids to build healthy cells and maintain heart health. However, too much of the wrong kind of fat can lead to a number of health concerns. Not all fats are bad. That’s why it’s important that you select the right kind of fat. Generally speaking, there are four types of fat — saturated fat, monounsaturated fat, polyunsaturated fat and trans fat. Chemically speaking, saturated fat is fat in which all carbon atoms are bonded to hydrogen atoms. Monounsaturated fats feature molecules that possess a single double-bond between two carbon atoms. Polyunsaturated means that the molecule has two or more double-bonds between carbon atoms. Trans fats are manufactured through a process of hydrogenation — such as when liquid vegetable oil is changed into hard shortening. Trans fats raise LDL (bad cholesterol) while reducing HDL (good cholesterol, which protects against heart disease). You should avoid consuming trans fat whenever possible. Saturated fat, which is found in fatty cuts of meat, higher-fat milk and dairy products and some oils, also has negative health effects and has been linked to heart disease. 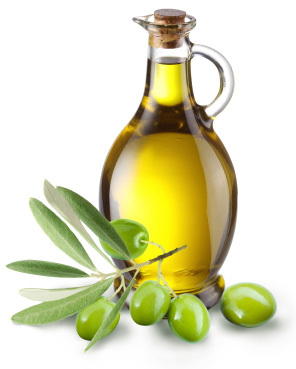 When people refer to good fats, they are talking about polyunsaturated fats and monounsaturated fats. Omega-3 and omega-6 essential fatty acids are polyunsaturated fats. These types of fats help lower blood cholesterol, reduce hardening of the arteries, boost the immune system and protect against a variety of illnesses and diseases. Most Canadians get plenty of omega-6 fatty acids in their diets, but not nearly enough omega-3s. The types of omega-3s are ALA, DHA and EPA. ALA (alpha-linolenic acid) is found in flaxseed, hempseed, canola oil, soy products and walnuts. DHA (docosahexaenoic acid) and EPA (eicosapentaenoic acid) are found in fatty fish such as anchovies, freshwater trout, mackerel, salmon and sardines. Monounsaturated fats are found naturally in avocados, in canola and olive oils and in nuts such as almonds, cashews, pecans and pistachios. Monounsaturated fats help lower cholesterol. Your consumption of trans fat should be zero (or close to it), while saturated fat should be no more than 10 percent of your daily caloric intake. The Canada Food Guide recommends 30 to 45 millilitres (2 to 3 tablespoons) of unsaturated fat each day, and it’s recommended that women have at least 1.1 grams of ALA omega-3s daily, while men should aim for 1.6 grams or more. Everyone should try to consume at least two servings of fatty fish each week. Those with heart disease or other health conditions should consult their physicians. Learn how to saute salmon filets in a cast iron skillet and finish them in the oven with this simple salmon recipe. Get more fat in your diet!